This 100% cotton is soft, luxurious and decadently priced. 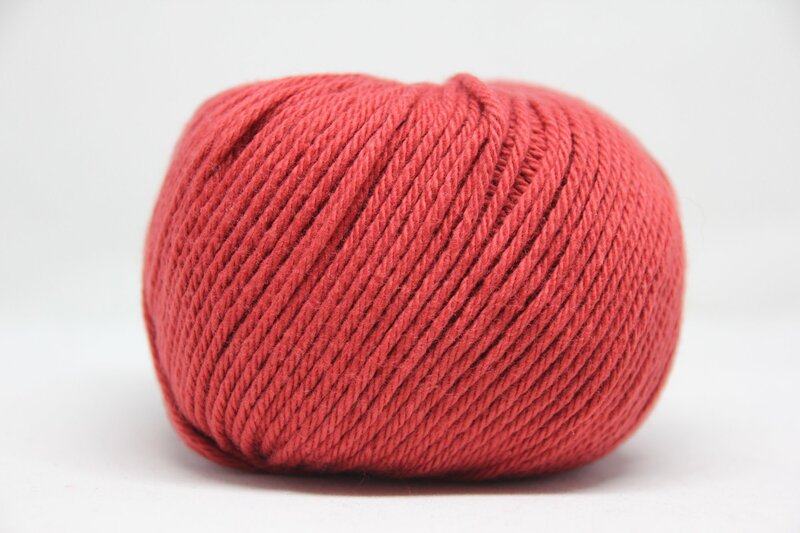 At 109 yards (100 m) for 50 g, you'll be knitting sweet nothings or large projects in no time. This knits to 20-22 stitches, 28-31 rows on a US 5-6 for a 4 inch sqaure.